This post reviews John Taylor Gatto, Weapons of Mass Instruction: A Schoolteacher’s Journey through the Dark World of Compulsory Schooling (New Society Publishers, 2009). John Taylor Gatto is a legendary figure in the world of homeschooling. 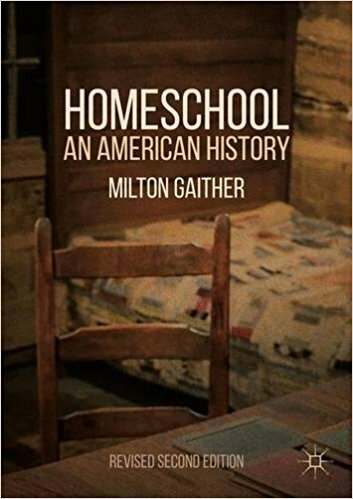 My book on homeschool history describes how by the late 1980s secular and conservative Protestant homeschoolers increasingly became estranged. The large Christian conventions and publications stopped inviting as speakers leaders who did not share their worldview. Gatto is a standout exception to this generalization. His stature is great both among conservative homeschoolers like those affiliated with HSLDA and among more liberal homeschoolers like those affiliated with Home Education Magazine, and he regularly keynotes conferences and conventions of all parties. This, his latest book, is something of a grab-bag of classic Gatto themes. My review here will not systematically work through his chapters but will use it as an excuse to make some comments on Gatto and his meaning for the homeschooling movement. I’d like first to make a couple of comments about Gatto’s methodology, and then share some observations about his significance for the homeschooling movement. A second methodological affliction, common among polemicists, is Gatto’s tendency to cherry pick anecdotes and facts that paint his opposition (public education) in its worst possible light and to do the reverse for his own side. In Gatto’s world every child is infantalized, deformed, and dehumanized by schools, while all dropouts become self-made millionaires. Gatto loves to tell stories of self-made men and women. In every case the moral is that if one can escape the poison of compulsory schooling, a rich and fulfilling life awaits. He also loves to tell horror stories of administrative incompetence, curricular foolishness, and bureaucratic pointlessness in public schools. Nowhere in his prose is there any hint that a child could possibly find school enriching, fulfilling, life-changing. One of the principles I try to teach all of my students is that when engaging an opponent in an argument you want to do your very best to represent the other side fairly. The best philosophers, people like Aquinas or Kant, could make their opponents’ arguements better than their opponents could make them themselves. I call this capacity intellectual charity. Gatto does not practice this virtue. Instead he, like so many other pundits and politicos, jumps on anything and everything that could possibly be used as amunition against schooling and ignores any evidence that might counteract his characterizations. Gatto then goes on to excoriate schools for making American children fat by keeping them sedentary and serving them fast food. He repeats the critique almost verbatim later in the book (pp. 196-197). Gatto here is hitting on something very important. He’s absolutely right that most school cafeterias provide unhealthy options that children tend to choose when given a choice, and he is correct about the connection between increased emphasis on standardized testing and cuts in recess and physical education. A measured, well-researched critique on these themes would be a real contribution. But instead we get unsubstantiated claims that would lead anyone not already convinced of Gatto’s view to question his judgment. Is it really true that hatred of fat people is our nation’s most powerful prejudice? Just who has long been acknowledging this? I’ve never read ANYONE but Gatto ever make this claim, and Gatto of course provides no sources to substantiate it. And, while I’m deeply intrigued by the notion that Harvard and Yale might be selecting students based on physical attractiveness, I’ve never seen a source for that either. If Gatto had cited a source or two his claims would be easier to take seriously. In addition, a good treatment of the issue of childhood obesity would find plenty of culprits other than public schools, starting of course with the family. Parents play a far greater role than schools in determining a child’s eating habits and level of physical activity. It’s in the home that children watch television and play video games. All of this is so obvious it hardly bears mentioning, but Gatto doesn’t mention it. Whatever the problem is in American society, for Gatto the cause is always compulsory schooling. Gatto also doesn’t note the contradiction between his bedrock complaint that schools force students to do things with his own recommendation that schools force children to eat healthy foods and engage in more exercise. Gatto’s cavalier attitude and sloppy use of sources unfortunately makes it easy to dismiss his ideas as the work of a crank or crackpot. This is a real shame, for much of what he says is profound and powerful. But given his predelictions he will likely never be taken seriously by anyone not already predisposed to agree with him. Which leads me to my final point about Gatto’s remarkable, perhaps unique, ability to resonate with conservative Christian homeschoolers and with homeschoolers coming from a more left-leaning perspective. In many ways his career is reminiscent of John Holt, who, while an atheist, was also able to make common cause with religious conservatives. Both Holt and Gatto are great writers, adept at telling chilling stories of institutional abuses against children. Both read widely and incorporate their reading into their work while at the same time producing prose that is very accessible. Both are sensitive to and respectful of religious belief. In Gatto’s case religion is a good because it gives people a higher authority than the State. Christians and others with religious commitment are willing to speak truth to power, to resist the government when it conflicts with their fundamental beliefs. That said, if you read Gatto carefully you discern that he does find elements of Christianity deeply troubling. He detests Calvinism especially, for two reasons. First, he utterly rejects predestination, seeing it as one of the primary historical causes for the deterministic tendency of schools today to categorize some children as saved and most as damned (or, in contemporary parlance, the “gifted” vs. those with “special needs”). Gatto also despises Calvinism’s doctrine of “total depravity,” with its pessimistic view of child nature. If children are natural born sinners, then it makes sense for adults to force them into compulsory schools to beat the sin out of them. Gatto recognizes the historic connection between New England Puritans and compulsory education, and he doesn’t like it. But so long as Gatto sticks to his public school critique and holds his tongue about the evils of Calvinism when addressing Christian audiences, he will likely continue to be one of the few celebrity homeschooling advocates who can get liberals like Pat Farenga and conservatives like Michael Farris to endorse his books and homeschoolers of all persuasions to read them. I teach 7th & 8th grade in a small school in Colorado and have been reading Gatto for a number of years. I too recently read his “Weapons of Mass Instruction.” However, perhaps because of my immersion in his writings, and a number of his lectures which are online, I have no trouble with his methodology. Somewhere (note, no citation) he makes the point that he consciously chose not to present his argument in the manner that the German inspired research university requires, as that, as much as anything, is what he is railing against. Your observation that his work is as much a personal essay as it is anything else is right on. I believe that is what he intends. If you read everything he has written (which of course is not what most are going to do) you begin to see the whole man and mind at work, clear about some things, struggling with others, fluctuating back and forth between desperate and inspired. Nevertheless, your point that to those who are not already in his camp, as it were, his method seems crankpotish is valid. That was my own response. I owned his book “The Underground History of American Education” for a couple of years before I took the trouble, and it felt like trouble a lot of the time, to slog through it. It was only as I put it down and started paying closer attention to the machinations of my own school’s administration, and tried to figure out who was really pulling the strings that I began to connect Gatto’s dots. In a way his writing does fit perfectly into the argument he is making, as he doesn’t make it easy for anyone to use his work to persuade others of the rightness of his view. Certainly I use bits and pieces of Gatto’s ideas every day in class, but he wants each of us to take what is of value and discard what is not and cobble together our own personal perspective or blueprint on education. It’s the very essence of the dialectic. It’s painstaking. It’s, for my money, worth every minute of it. It’s how we approximate and inch closer to the truth. I’ll end with a commendation of your writing, your book is now on my Amazon wish list, and your interest in the topic as I believe the question of how we educate is central to so many other questions that challenge us today and it’s not often that I find other teaching professionals openly wrestling with it. Thanks for these very thoughtful comments. Gatto has been my left-libertarian unschooling guru for the past few years. I even went so far as to read the 28 books he recommended at the end of “The Underground History of American Education”. He is a provocateur and a little full of himself at times, but I find his ideas wild and thought provoking as he dares to try and think (not always completely successfully…*g*) way outside the box. I bought “Weapons of Mass Instruction” but have yet to start it. Gatto’s “Dumbing Us Down” had a great impact on me. I read it soon after deciding not to send my child to school, and it validated my reasons for making that decision. I agree with the other commenters that Gatto can be over-the-top, but I find his motives very sincere. His arguments always stimulate my mind. I think he serves an important purpose for educators, homeschoolers, unschoolers, and everybody in between. on April 17, 2009 at 12:01 am A.D.
You give Gatto more credit than I do. Several years back I decided to do a fact check on some of the claims he makes in “Underground”, and based on the data he claims to have used, he is either a liar or lacks the ability to do basic math. I also discovered some data sets he references, specifically regarding Census data from the early 1800s, simply do not exist, as they were never collected. I am reading the Beautiful Tree by James Tooley and it’s interesting how his account of the Madras system and John Taylors is very different. Could it be cultural?